Founded in 1978, Domino Printing Sciences plc has established a global reputation for the continual development and manufacture of its total coding and printing technologies that meet the needs of manufacturers and sets new industry standards in quality and reliability. Through a global network of 25 subsidiary offices and in excess of 200 distributors, Domino Printing Sciences plc sells to over 120 countries offering extensive customer support. In 2012, Domino Printing Sciences plc achieved a turnover of £312.1 million; it is listed in the FTSE 250 share index on the London Stock Exchange (share code DNO). The Group employs 2,200 people worldwide with manufacturing facilities situated in UK, China, Germany, India, Sweden and USA. On 11 June 2015, Domino became an autonomous division of Brother Industries Limited. Brother Industries Limited is a public company based in Nagoya Japan and is listed on the Japanese Stock Exchange. 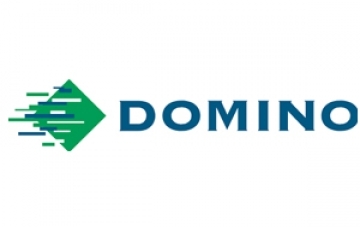 Domino approached Newman Stewart looking to fill a business critical Group Logistics Director role, with responsibility for leading the development and cross functional (group wide) buy-in of a Logistics & Supply Chain strategy, with the customer at its centre. The successful candidate would be expected to drive a group wide, logistics and supply chain strategy to improve customer service, acquisition, adoption and retention, translate organisational goals into meaningful, achievable outcomes that drive value to the customer and business, ensure that all Sourcing, Purchasing and R&D teams understand the benefit of Group Logistics and actively contribute to it, whilst at the same time developing and managing the supply chain and creating a culture of continuous improvement. On top of this, Domino wanted someone with 10 + years’ experience in a senior level logistics or equivalent role. This was high stakes for Domino and needed a considered approach. Since 2013, we have worked with Domino to keep them ahead of the competition through exceptional talent. Roles that have been successfully recruited include European Multi-National Account Manager, Group Sourcing Director and International Trade Compliance Manager.